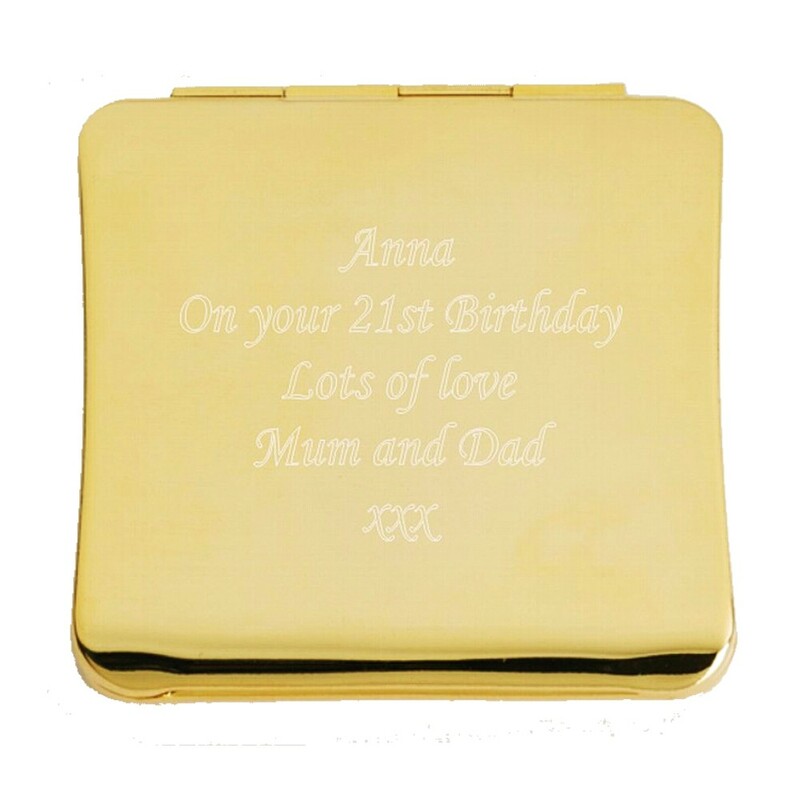 Personalised Engraved Square Gold Mirror and Gift Box. An amazing gold plated square shaped compact hand mirror. Personalised and engraved to your requirements. The mirror measures 60 x 65mm. Comes in its own individual gift box. There is no limit on text so just let us know the text you would like to be engraved! An ideal presents for your Bridesmaids, Birthdays, Anniversaries, Mother's Day ..... it's endless!